Not sure if I got all this right so please help me out. My head is swirling. What do we need? Is it better to determine our domicile before buying our RV and truck to determine taxes and registration. We are in South Carolina, would we need to go to Texas, SD, FL, Montanna in order to do this? Seems Texas is the choice of a lot of RV'ers, so we would sign up to the Escapees club. Our goal is to travel a bit, workamp a bit and go where life leads us. A lot of RV'ers will buy or subscribe to several of these at the same time to provide flexibility. 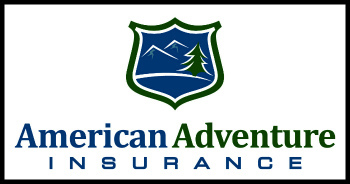 Another is AAA for roadside service, travel services, campground discounts, insurance and more. They have an RV Plus roadside service we subscribe to. For us we only have passport America for now until we determine our travel patterns and availability of campgrounds affiliated with each.I would not buy an expensive membership until you decide how and where you want to travel.I see all the time people buying them and then finding out they don't or can't use it enough to be worth it. I can't help you with the docimile question because in our situation it was best we kept our Colorado address even though we no longer own any property there. Since we are not on the road yet, we can't be of much help. We do, also, have the AAA Plus road service with the additional RV coverage. I think it was only $37 a year extra to cover the RV. We have used them with our automobiles and have always had good service. As for other organizations, we only below to Good Sam but we do not have any of their insurance. However, I know that we will be looking somewhere for full timers insurance once we hit the road. We have neighbors, here in the park where the RV is located, who have been telling us we needed to join Passport America. In my looking at Passport, it is really only helpful if you are traveling several days to reach a destination without stopping for a period of time in places. Since we have the "Golden Age Passport" (old card) we can stay in a lot of government owned campgrounds for half price. So just don't know if we need anything else. And, like RacerGuy, we will be keeping our homebase in Alabama even tho we will own no property. This is primarily because of our medical insurance. 2 Old Crows and a dog named Berryjane! The overlap between Happy Camper and Passport America is high but Passport America has more campgrounds listed, easy choice. If you stay 3 to 5 nights a year you have paid for Passport America. Escapees is a better organization and value (in my opinion) than Good Sam. Many are Escapees members without using their mail service and domicile, plus they have their own campgrounds that run about $15/night. We have averaged $19.35/night in 161 nights at Escapees own campgrounds and that includes lifetime dues. Our nightly rate would be $14.10 if we only counted nightly costs. Before deciding on where to domicile PLEASE check out costs of insurances in both TX and SD. Do not make the mistake we made. We domiciled in Tx but changed to SD. Insurance on truck in Tx over 1,200 a year. SD is 474 a year. Insurance on fiver in TX 1,315 a year. SD is 555 a year. Medicare supplement in TX 136 a month. SD 91 a month. First year registrations on truck and fifthwheel in TX 539. In SD 202. Do your homework. Any insurance agency in TX and SD will give you quotes. We belong to Escapees and they do provide a good benefit. Their mail forwarding service has been excellent and is a little cheaper a year than who we use in SD. However, the other costs far outweigh the few dollars more we spend now for mail forwarding. I agree with Bill. We have Good Sam and Escapees. Escapees is a better value to us because we use it. Don't think we will renew with Good Sam when the time comes. We also use Passport America. We also are not on the road yet..(April 2011! )..but have been fulltiming since April THIS year in our present home state. We will be joining Escapees and AAA before we hit the road. Phyllen is correct..research the insurance, but we too found that it was cheaper in SD, so went with that domicile. We now use Americas Mailbox out of Rapid City as our home base mail service..they have been nothing but helpful and friendly. We got all set up with them BEFORE we bought and then registered our new 5er. Also registered our Truck and motorcylces in SD. Saved over $6000 on the RV registration just in sales taxes over Kansas. Americas Mailbox did everything for us and it was the easiest process through the mail I have ever encountered. One other determining factor for us registering in SD is that in TX you have to actually GO to TX to have your RV and vehicles inspected...not the case in SD. We will have to physically go there to get our new DL's but only the first time and have 90 days to get that done. We bought a C2C membership on the spur of the moment and then found we never used it. Dumb. In reality, Passport America has been much more useful to us. We also are members of Good Sam and Happy Camper. Gotta save a few bucks somewhere! We find our trips are getting shorter as time passes. We belong to many of the clubs - Passport America (pays for itself easily), Good Sam, FMCA and Escapees. But we have yet to see reason to join one of the camping networks like Thousand Trails. We just simply don't seem to naturally cross the path of their parks. Would recommend not investing in anything expensive until you're out there on the road and discover how you like to camp. For domicile.. complicated topic with a lot of considerations. Costs, insurance (health, RV, life, etc. ), vehicle registration, logistics, mail forwarding services. etc. We have a pretty extensive article on the topic at www.technomadia.com/domicile that goes over many of things to research in your decision making process. We have had AAA for many, many years with great results. We do not use their insurance but had added the RV option 11 years ago when we bought our first Airstream. We purchased Passport America in January before we left for AZ and had the price returned in two nights. The drawback is some parks are quite restricted on dates, but with planning we used it frequently while travel to and from Iowa and Arizona. The Escapees membership has served us quite well also. We stayed at four of their Co-ops in the southwest this winter and averaged $17 per night including electricity with full hook-ups. We will not renew Good Sam's as between Escapees discounts at parks, Passport America and our preference for Federal campgrounds with the Senior pass and state parks we can average $15 or below per night. Or should say for the last four months this has been the case. Can you go to any park in the Escapees system or are you just limited to the ones listed in the Travel Guide (for a discount)? In other words, if you don't choose to purchase a lot or a co-op, can you still stay over for a few days at one of those properties anyway? Cheryl: All you need to be is an Escapees member. Only a minority of members have a lot. We don't and have stayed at most of the Escapees parks. The Travel Guide also lists non-Escapee parks that give at least a 15% nightly rate discount after showing your Escapees card, as opposed to Good Sam/AAA/AARP/FMCA's 10%. My wife and I have been Outdoor World members for over 25 years. We just upgraded our Membership with Thousand Trails, they bought Outdoor World, around two years ago. We now have use of the Outdoor World , mostly Mid-Atlantic States, and use of the Thousand Trails sites in the US. Thousand Trails has now gone to Zones. You buy access to a Zone, five of them in the US if I remember correctly, and pay each year. If you are interested in travelling a larger area they sometimes have a special on buy one Zone and get a second Zone free for the year. If you are interested in having the whole US you are best to find someone with an older membership to sell that covers that. For example, I can sell my membership to someone who can then sell it again to someone else. Cindy and I felt it was best to upgrade our membership to include Thousand Trails knowing that we would probably never use all the sites available. As an Outdoor World Elite Member I can go to a campground and stay for three weeks. At that point I have to leave that campground and move to another one for one week minimum. I can then come back to the first campground and stay for another couple of weeks. I have a yearly membership maintenance fee that I pay. I used them in the past and liked them. However I have noticed the rates creeping up at some of their parks - not as many $10 night parks and a few more restrictions than there used to be. Oh well, I guess everything goes up. Yes, you will usually save a couple bucks vs Passport in overnight costs, but for the sheer number of CGs available (1,900+), you can't beat Passport America for short stays while traveling through the area. While here at Mountaindale Cabins and RV Resort near Colorado Springs, we got to visiting with a couple out for a stroll one evening. It seems they are Coast to Coast club members and had been staying at a Coast to Coast campsite north of Colorado Springs. They said that every time they came up to go to that C to C campground, they passed by Mountaindale. They said they normally could stay two weeks and then "buy" a third week, followed by another two weeks and so on. However, it turns out that this time they had to physically leave the C to C campground instead of being able to "buy" that third week. The lady stated that she was forced to use ear plugs at the C to C campground because it is right next to Interstate 25. Here at Mountaindale, they found it so very quiet and soothing. So, I guess there are more reasons for NOT buying into a membership. Since we travel a lot in the west, we have found that membership parks work really well for us. We're at a Thousand Trails park right now, just south of Newport, Oregon for the Labor Day holiday. Every year we save well over $2,500 on the cost of parks, a couple of years it was almost $4,000. We use membership parks about 100 nights per year.